Indo-Pacific Asia’s evolving power paradigm is changing the way Australia views itself and its position in this changing world. 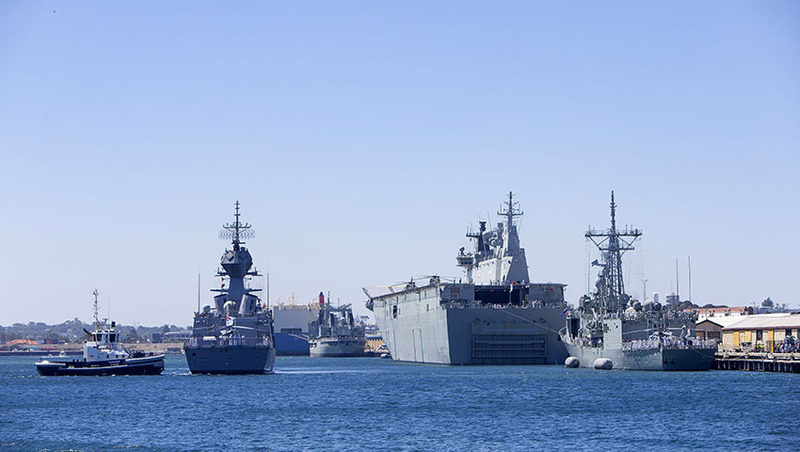 The need for both continental and forward defence highlights the necessity for the nation to balance the strengths and weaknesses of Australia’s historic doctrines to form the basis of a reinvigorated Australian presence in the Indo-Pacific. In 1890, American naval strategist Alfred Thayer Mahan in his work The Influence of Sea Power Upon History outlined that "whether they will or not, Americans must now begin to look outward. The growing production of the country demands it", establishing the basis of America's foreign and strategic policy well into the 21st century despite periods of isolation. Now, for the first time in the nation's history, Australia's prosperity, security and way of life is intrinsically linked to the ambition, stability and direction of its Indo-Pacific neighbours. Guaranteeing this requires the nation to find a balance between the expeditionary and interventionist focused 'Forward Defence' and the continental defence focused 'Defence of Australia' doctrines to counter the high and low intensity threats to the nation's security and interests. Throughout this series we have taken a close look at the evolution of the nation's defence strategic doctrine since the end of the Second World War and taken a closer look at the developing disruptive capabilities of traditional state-based adversaries in close proximity to Australia and its national interests. The years immediately following World War Two saw the expeditionary and interventionist focused 'Forward Defence' doctrine commit Australian forces to stopping the spread of communism in the region, coming to an abrupt end following the nation's involvement in the Vietnam conflict, while 'Defence of Australia' and the 1986 Dibb report saw the nation shift its focus to a largely defensive posture, focused entirely on reducing the nation's exposure to direct hostile action, while effectively limiting Australia's ability to act as an off-shore balancer and regional security leader. The changing dynamics of the region now require a nuanced approach and period of balance between an interventionist 'Australia Forward' doctrine, focused on securing critical strategic and tactical advantages critical to the nation's ongoing security and prosperity supported by a conventional deterrence capability, and an integrated anti-access/area denial (A2/AD) 'defence in depth' doctrine maximising advantages provided by defensive technology and the geographic isolation of the continent. The Australian Defence Force will always be limited by the country's relatively small population, however, this doesn't mean that Australia cannot and should not support a larger, more capable ADF, while focusing on developing a lean, muscular and adaptable force capable of a range of operations supporting the nation's national security objectives. Developing such a force could require an expansion in both size and platform acquisition across each of the branches of the Australian Defence Force as well as a restructuring of each branch to maximise capability across a range of combat and humanitarian support contingencies, mobility, interoperability and expeditionary capability. Such expansions would also serve as a major win for Australia's domestic defence industry, which would see an increase in platform acquisition, minimising the peak and trough cycles and 'valleys of death' that have traditionally characterised Australian defence industry development and hindered the development of long-term, domestic acquisition capability. The Australian Army provides a unique opportunity for the nation to build on the existing world-leading capabilities and personnel that make the Australian Army one of the most effective small armies in the world, by drawing on successful examples implemented by allies like the US. Australia's focus on developing a rapid response, amphibious task force is a step in the right direction. The model established by the US Marine Expeditionary Units (MEU) provides a best practice model of expeditionary-focused power projection, however an expansion in the size of the Army could see the development of four regiment size (2,200+) amphibious regiments capable of rotating as the tip of the spear. The Marines and the globally deployed MEUs and Marine Air-Ground Task Forces (MAGTF) provide the US with an unrivalled, rapid response to contingencies ranging from humanitarian disaster relief and counter-insurgency to sea control and high-intensity, power projection combat operations against a peer competitor. Developing such amphibious capabilities would serve as a key capability for extending the nation's reach, while also introducing the ability to rapidly deploy, a tactical and strategic force multiplier capable of low-to-high intensity combat operations, humanitarian support and interventions and A2AD operations at key strategic chokepoints, like the Straits of Malacca or Lombok Strait. Enhancing the strategic and tactical power of the Army is the introduction of up to six Brigade Combat Team (BCT) like structures (4,500+) as part of larger divisional commands (15,000) fitting within the development of a broader deterrence-based, combined arms force capable of rapid deployment throughout the region, with a focus on high-intensity, peer v peer combat capabilities. Australia's post-Vietnam focus on maintaining a traditionally 'green water' naval force focused on maritime interdiction, continental defence and control of the 'sea/air' gap has limited the nation's ability to effectively intervene in regional affairs. The acquisition of the Canberra Class combined with the Hobart, Hunter and Attack Class programs serve to radically shift the operational capabilities of the Navy as a whole. The introduction of these capabilites serves as the basis of developing a long-range of a tactical and strategic power projection force, capable of incorporating continental defence as a result of the area air and missile defence capabilities of the Hobart and Hunter Class vessels and at-sea-deterrence with the introduction of the Attack Class. Effectively developing these capabilities requires as shift in the way Navy and government approach the role of the nation, as well as expanding the acquisition of Hobart, Hunter and Attack Class platforms, combined with the acquisition of additional amphibious platforms to develop Expeditionary Strike Groups (ESG) supporting the deployability and power projection capacity of the Army's amphibious units. Acquiring additional fleet auxiliary vessels, combined with the consolidation of mine hunting and hydrographic forces and the acquisition of new, specialised hospital ships would serve to further enhance the nation's power projection capabilities, in line with the government's renewed focus on Indo-Pacific engagement and presence. The increasing prominence of fleet air forces by China and Japan's pursuit of fixed-wing naval aviation forces necessitates the consideration of one of the most controversial acquisition plans to include the purchase of a small fleet of F-35B Joint Strike Fighters to support the power projection and ground support capabilities of the fleet when used to deploy Army amphibious units. Finally, shifting the focus of the Navy from maritime interdiction and border patrol by transferring the new offshore patrol vessels to Border Force frees up the manpower and resources to acquire additional ocean-going patrol corvettes, like the Royal Navy's currently in development Type-31e program, providing further avenues for increased industrial co-operation, access to global supply chains and force interoperability. In the final part of this series, we will discuss the importance of developing robust air combat and strategic air lift force structures to support power projection combined with the growing importance of integrated ground-based air and missile defence and cyber capabilities, and finally the creation of Special Operations Command as its own unique branch of the Australian Defence Force.